2017 has been a whirlwind year. I graduated uni in May and started my internship in September. I also started (and sadly ended) a podcast, interviewed lots of great people and kept up with writing this blog (an achievement in itself!). I graduated from uni in July, with a BA (Hons) in Popular Music Journalism, achieving a 2:1. I'm so proud of myself as uni was so stressful, especially third year. It went by in a flash though and before I knew it it was the last day of my degree and handing in my dissertation. University was a great life experience though and I wouldn't change it for the world. Once I finished my degree, the job search started. I applied for lots of jobs and internships, finally securing a year's internship with Siemens as an External Communications (PR) Intern. I've been in the role for 3 months - I enjoy it so much and I've had some amazing experiences. The rest of the internship will fly by I'm sure, but I'm getting stuck in as much as possible. 1. Posting tweets and creating social media posts for Her Majesty The Queen's visit to Siemens Gamesa in Hull in October. It was such an honour to help out and amazing to see The Queen in the flesh - I know a lot of preparation went into it. 2. In September before starting my Siemens internship I got the opportunity to have a day of work experience at ITV News, shadowing the team and asking lots of questions. 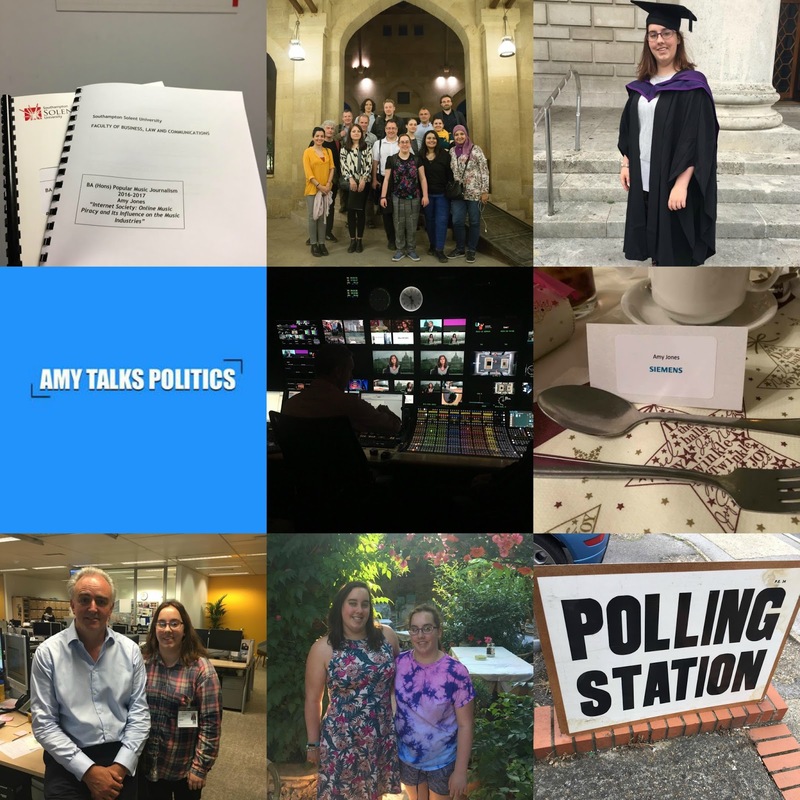 I've included a couple of pictures into the grid above, but make sure to read my separate post all about my day there. 3. A press trip I went on in April to Cairo, Egypt. It was to see lots of different projects and organisations funded by the European Union. Again I wrote a blog post about this, so read it here. 4. The family holiday to Greece in June, which was a great time to relax and unwind, particularly as university had finished. I've had a great and fulfilling year looking back. It's nice to reflect as it seems the year is all doom and gloom, particularly in terms of what you see on the news. You should do this too, you'll see a great thing about this year I'm sure. Here's to 2018!